4. Easter egg fillers (plastic eggs) (pack of 25) - please supervise use (may be a choking hazard). 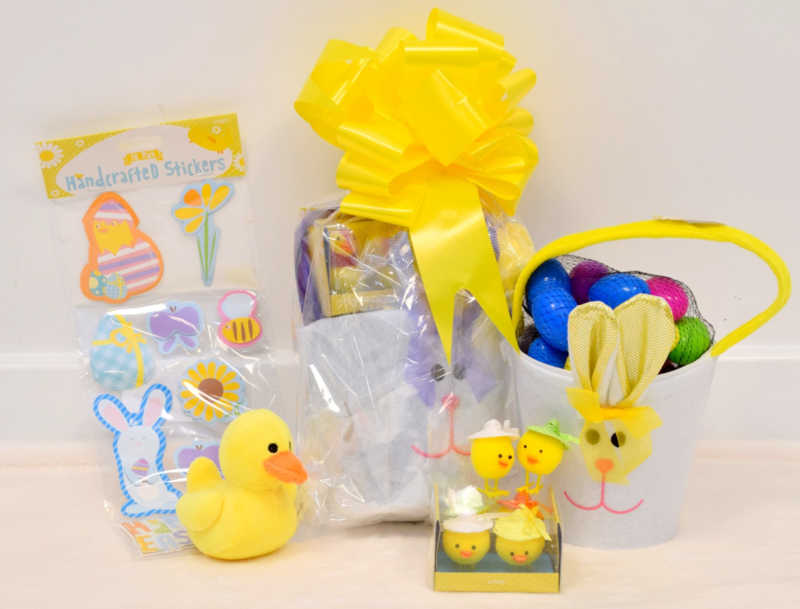 All wrapped up in the bunny bucket in cellophane and tied with a yellow ribbon. Sure to delight and excite this Easter!